In our last blog on Magento 2.0, we had looked at the improved admin interface of Magento 2.0. The other blogs in the series include blogs on the modern technology stack in Magento 2.0, features to help expedite the development, QA, and deployment process, improvements in the checkout process to improve conversions and drive sales, and the changes made to themes in Magento 2.0 and how it simplifies frontend development and customization. If you have not already read those then we encourage you to do that. 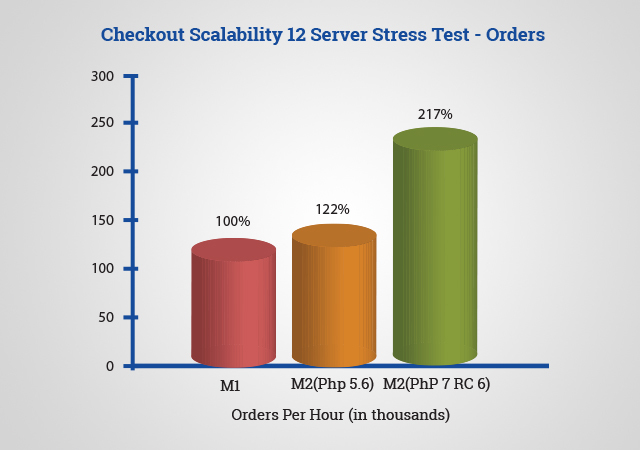 In this blog, we will look at the changes made to the Magento 2.0 platform to improve its scalability and performance. 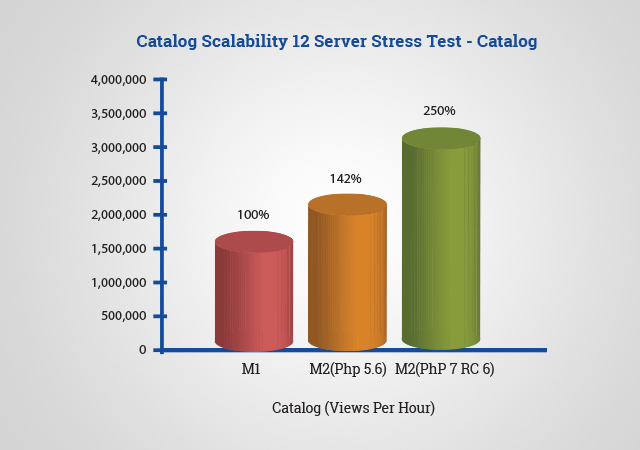 Magento 2.0’s improved performance and scalability over Magento 1.x is the highlight of the release. 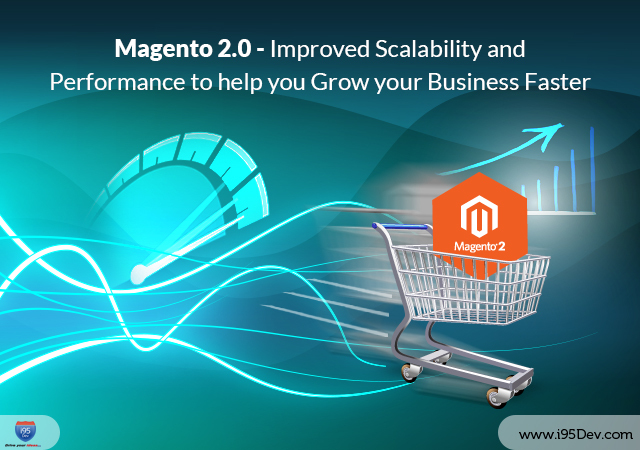 Taking feedback from the community, Magento has made significant investments in improving the scalability and performance of the platform in Magento 2.0. The modern technology stack, modular code base, new architecture, new ways to customize and build themes, etc. were all steps taken towards that. Full page caching (with support for Varnish as backend) and optimized indexing/partial indexing are now available out-of-the-box in both Magento CE and EE. In Magento 1.x, the same were a luxury limited to Enterprise Editions only. Other changes include support for latest versions of Redis and MemCache, and use of job queues to remove blocking operations and deadlocks from product and order processing with asynchronous order insertion and optional deferred stock updates, and more. Magento 2.0 Enterprise Edition gives merchants the flexibility to use multiple master/slave databases based on the functional area of the application to help achieve giant scale with the platform. They can now have a separate database for things like the checkout, order management, and product catalog management; checkout and OMS databases are compatible with MySQL Clusters. The Magento 2.0 Community Edition still works on a single database. Magento 2.0 leverages full page caching to pre-render all the pages into basic HTML, improving the page load time and reducing the load on the server. This while improving end customer experience and conversions, it also reduces the investments that merchants have to make in scaling the infrastructure; the site can now handle more traffic with the same infrastructure. Thanks to the support of multiple master/ slave databases in Magento 2.0, merchants on enterprise edition no longer have to get stick with one single database; which required them to take frequent multiple backups. 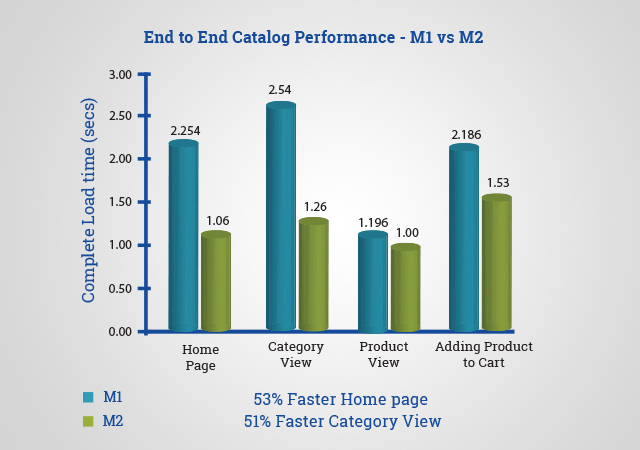 Having a separate database for catalog, order management and checkout also can significantly improve the website performance driving conversions. 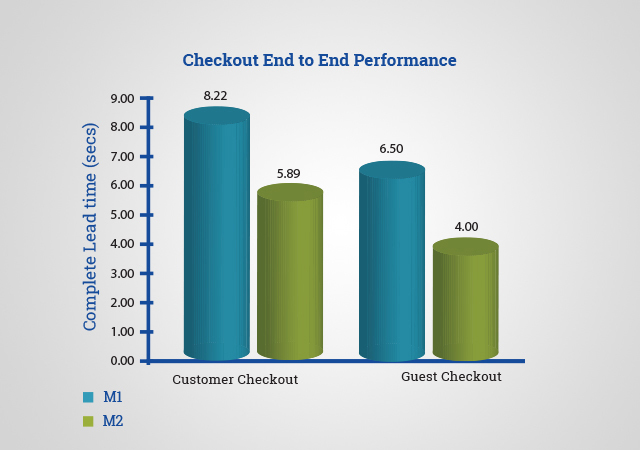 Performance in Magento 1.x was a significant pain point for merchants, developers and partners alike. Developers and partners had to put a significant effort to improve the performance of the store and, even more effort in managing customer’s (merchant) expectations. As with most changes in Magento 2.0, developers and partners can now play a more strategic role in their relationship with merchants. For end customers, it all boils down to a robust and faster eCommerce store with enhanced user experience. Stay tuned for our next blog on Magento 2.0! !